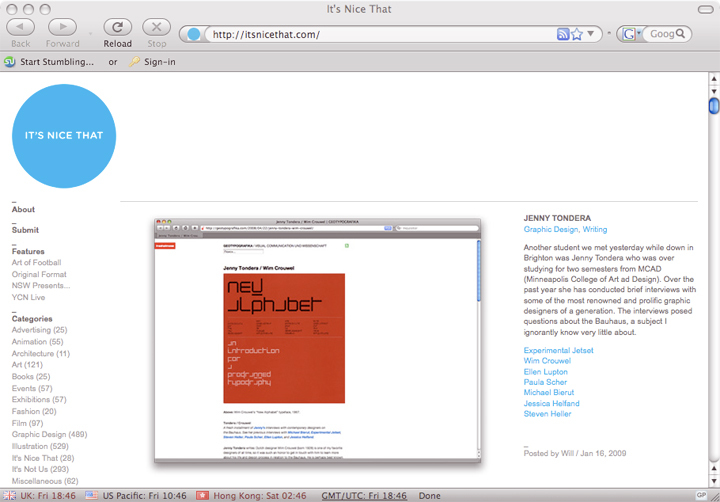 Geotypografika » Blog Archive » Jenny Tondera / It’s nice that! a link to her previous posts here. Cheers for that! Love the Art of Football (even though I say fussball ). Ja! Hup, Will und Alec! Hup, Jenny! This entry was posted by Erik Brandt on Friday, January 16th, 2009 at 2:18 PM	and is filed under Aktuell, Education, Globalization, Graphic Design, MCAD, News Links, Typografika, Typography.